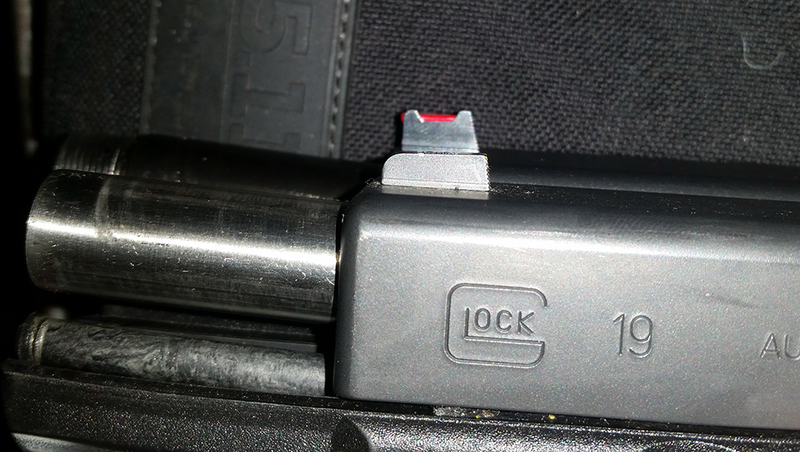 I hit the range today to do some rifle work and install a set of Dueck Defense red fiber op front and their fixed rear sights on my edc gen4 g19, replacing the Trijicon HD sights I have on it. I shot a 200 drill with the HD's on the gun, cold, and put up a 140ish, which is not normal and most of the rounds were hitting way low / low left. I figured it was my fault some how and shot another 200 drill with a gen3 g19 with the new defoor sights on it, put up a 180ish, ok that's normal, not me, might be the gun. 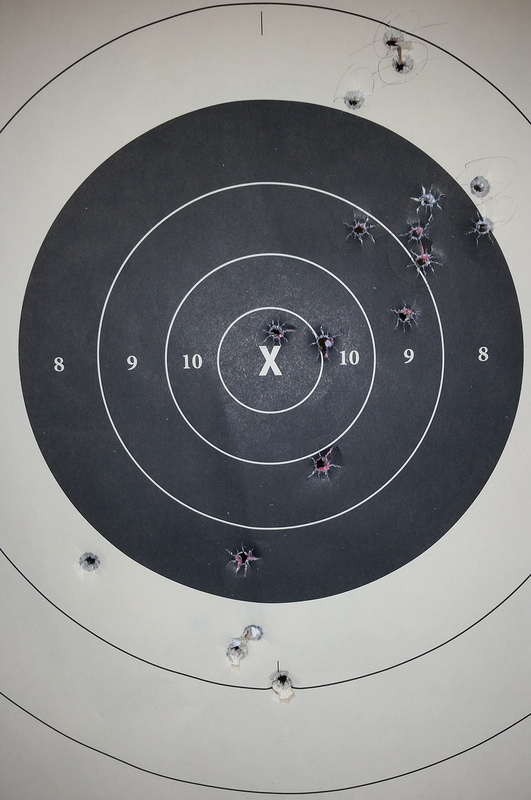 Put an NRA b8 target that I was playing around with before hand (with my rmr'd gun and my g17l) out to 25y and shot 5 rounds. The bottom five rounds are with the Dueck Defense sights installed, equal height, equal light, cutting the target in half with the ledge of the front sight post (like I do with the defoor's). I did not understand what was happening. They were POA/POI dead center at 5 yards. At 12 yards they started to drop very noticeably. I decided to reinstall the HD's and see if I could replicate this issue and I could. At 25 yards mostly all of my shots were 4-6 inches low / low left. The left part is probably me, but the low part is most definitely not. 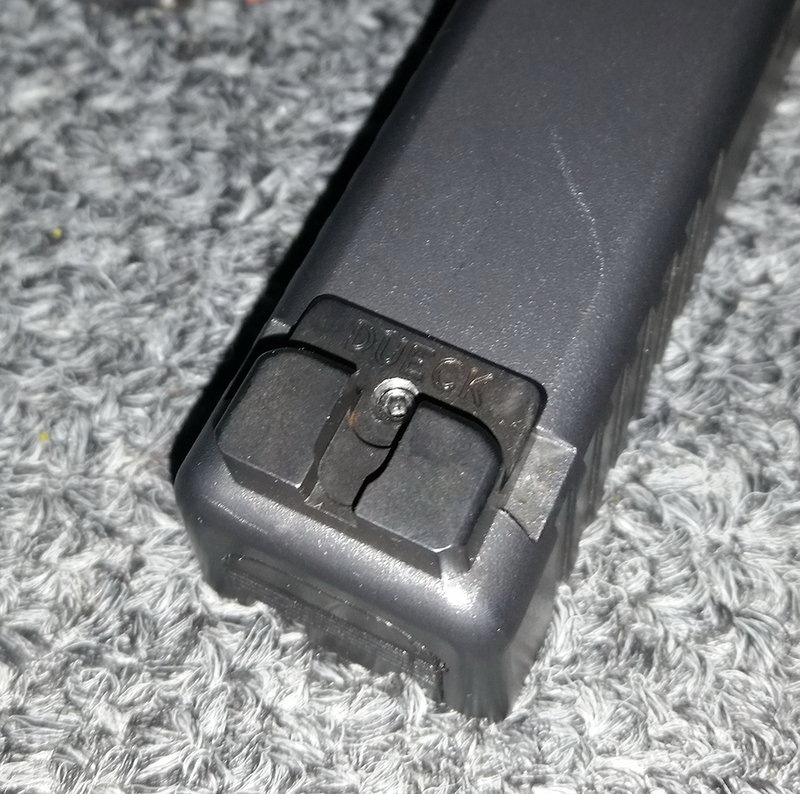 I'd shoot 3 rounds with the Gen4 G19 and then shoot 3 rounds with the Gen3 G19 and the difference is totally obvious, nothing mechanically different on my end, same grip, same trigger pull, same sight alignment (respective to sights, the HD's you have to aim slightly below the X, with the defoor's you cut it in half with the ledge). Also to note, I've always had accuracy issues with this gun. Specifically shooting the 200 drill. I'd swap to another Glock (like a g17 or g19, gen3) and/or shoot someone else's gen4 g19 and be very accurate but I've always had slight issues with this one. 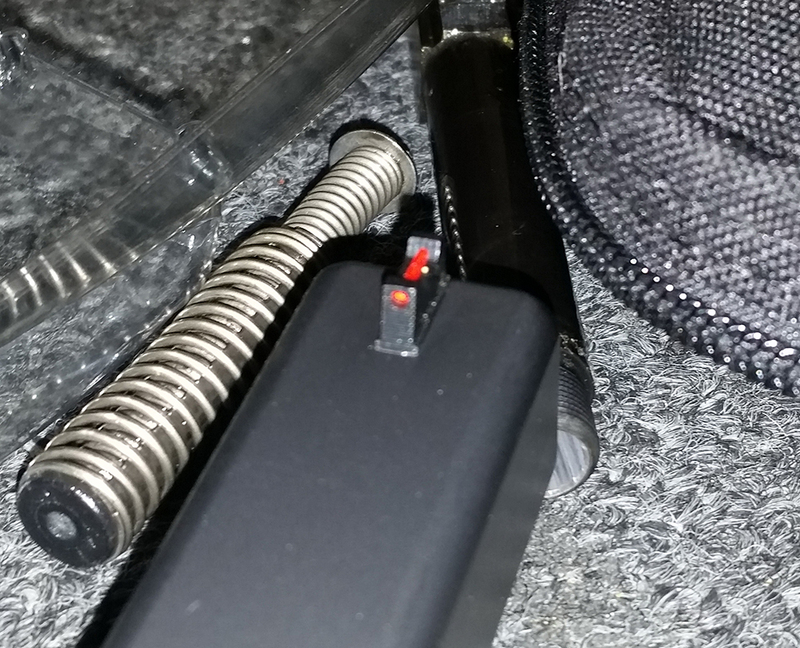 This morning I went ahead and purchased OEM spring kit from Glock parts and a new extractor / housing and ejector. Will update with comparison shots of each item compared to the used item.